In the past, publishers have been frustrated with low-quality and irrelevant videos being distributed across their sites. And video creators often express their frustration with the lack of support and revenue associated with today’s biggest social video platforms. And consumers get turned off when irrelevant and low-quality video content appears on a publisher’s website. These are all problems that Powr addresses with its all-inclusive video solution that provides hyper-relevant video content and video monetization services for publishers and video creators. Powr connects video creators with high-quality publishers across the web. 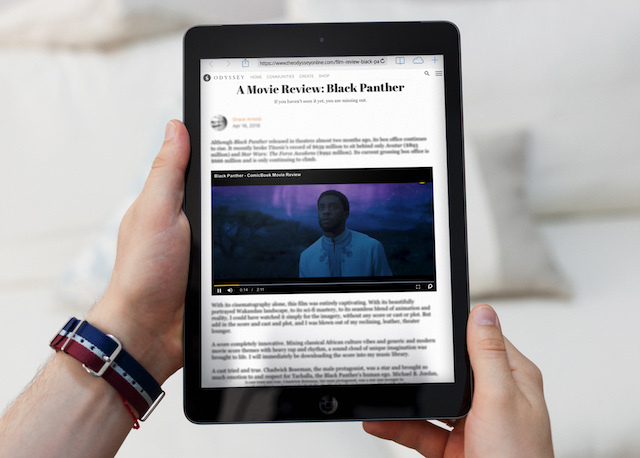 And Powr’s proprietary Contextually Matching Video Player aligns content from the company’s repository to the articles of major media companies. And then the creators and publishers are able to drive new revenue streams by monetizing via pre-roll and mid-roll video ads within the embedded videos. Some of the biggest pain points for publishers that create their own video content are the costs and time it takes. Despite the negative impact on the bottom line, many publishers have been still creating custom video content due to the previous lack of solutions. And publishers know that delivering video alongside text articles can have a dramatic impact on user engagement and the time spent on a site especially if it is contextual to visitors. In fact, Wistia conducted a study that concluded people spend 2.6 times longer on pages with videos than sites without it. And publishers can rest assured that videos will meet their brand safe environment requirements by creating a video syndication network powered by top-tier content creators such as Billboard, Cheddar, Fox, NowThis, and ViralHog. Plus the videos syndicated through Powr are delivered through High-Performance Video Player in an HTML5 format that is able to deliver high-quality without buffering or ruining the experience for the audience. “Since implementing Powr on our site, we have not only eclipsed our first monthly video views benchmark of 10 million, but we have also seen a 59% increase in revenue, 30% increase in effective CPMs and 28% increase in monetized impressions compared to other platforms and players” added Odyssey’s Director of Ad Operations, Eric Fernandez. As YouTube and Facebook continue to alienate the people who populate their sites with video content by eliminating the ability to monetize, creators are looking to solutions like Powr. Not only does Powr allow all their creators to earn revenue off of their views, but they also allow for more views through its syndication and content matching network. “Powr is an amazing platform for creators. Not only is it easy and simple to use, but it only allows high-quality content and allows for syndication to some of the biggest brands in the world,” commented Nick Wheatley, New Business Director for Barcroft Media. If you are interested in uploading your video content to Powr’s marketplace, you can sign up at https://powr.com/getpowr.